Serial entrepreneur and Internet pioneer Nick Matzorkis is best known as founder of the "People Search" industry by creating the first ever people search service on the Internet. His companies were the first to access, aggregate and disseminate public records directly to consumers whose information make up what were previously disparate offline databases. This fueled an information revolution by offering for the first time the opportunity for everyone to benefit from public records, not just government agencies and large corporations. 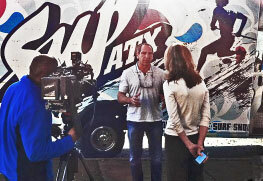 Nick Matzorkis refers to it as, "the democratization of public record information." This process also spawned the online "Background Check" and "Employment Screening" industries. Three of the eighteen companies founded and sold by Nick Matzorkis, US SEARCH, PeopleData and ZabaSearch, have shaped and defined the public record information industry on the Internet for over 20 years. 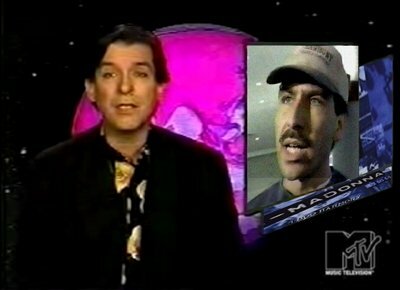 Matzorkis states his crowning achievement to be the tens of millions of long lost friends and family members reunited by the companies he created who had no other way of finding one another. His companies combined have sold for a market value of over one billion dollars. Two of his companies are traded on the NASDAQ and Shanghai Stock Exchange. In addition to his widely recognized and at times controversial reputation as the leading innovator of the direct-to-consumer sale of public records, Nick Matzorkis has founded an eclectic variety of additional companies in the Hollywood entertainment industry including television and music production and distribution, concert and tour promotion, the management of international musical acts, as well as the careers of acclaimed television and movie actors. In the field of technology and communications, Mr. Matzorkis was a trailblazer in early web development, wireless technologies and telecommunications. 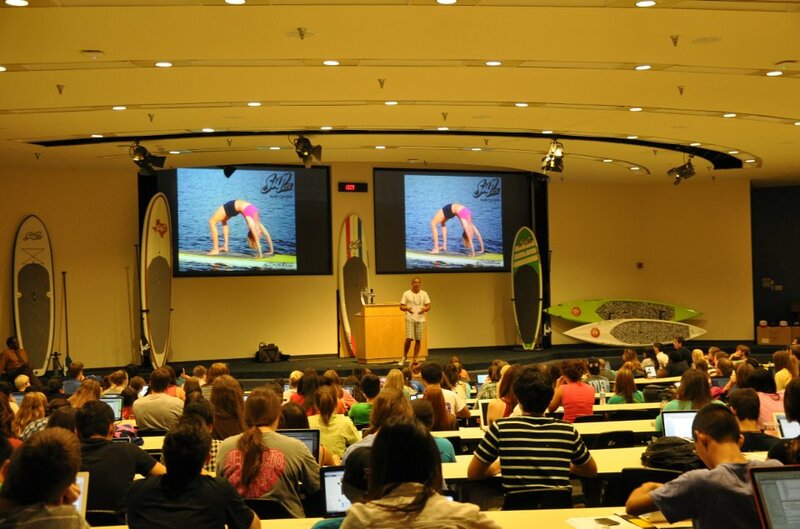 Most recently, Matzorkis has had a global impact on outdoor recreation and water sports with his creation of SUP ATX which is credited with introducing and popularizing the sport of Stand Up Paddling (SUP) in oceans, lakes and rivers everywhere. 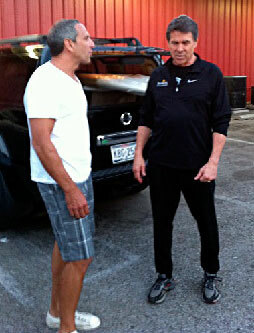 Matzorkis began paddle surfing at his home in Malibu. 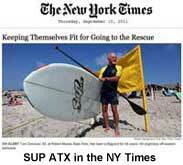 But with his primary residence in Austin, TX, decided to propagate the surfing culture of Southern California to lakes and rivers around the world. 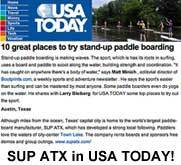 The mission started with a famed four-day "SUP ATX Stand Up Paddle Journey from Malibu to Austin" documented for FOXsports with a title track by fellow surfers, the Red Hot Chili Peppers. 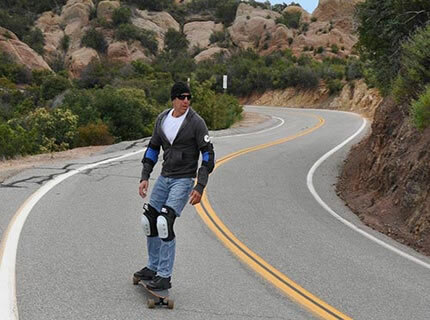 The new sport has since become a global phenomenon. 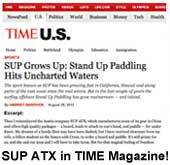 SUP ATX is the #1 paddle board maker worldwide. 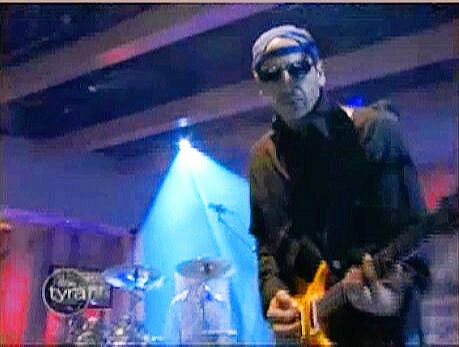 Less known to the public Mr. Matzorkis serves so widely are his generous philanthropic contributions, and his creation of and participation as the guitarist in the band ClipBandits, regarded as the world's first Internet band.. 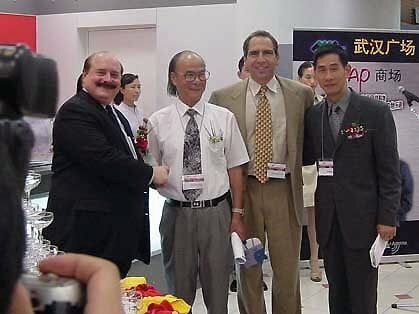 He founded GlobalAgora-China in 2001, a wireless technologies company which was the first U.S. based technology company to launch operations in the People's Republic of China. And that's not all: Mr. Matzorkis was executive producer of a song collection written and performed by Madonna which was released on his record label Harmony Music. Matzorkis also served as co-manager of Fleetwood Mac during this time period. In 1995, his company 'Web Sites Now' helped Hollywood studios, celebrities and production and management companies learn about and get on the web when they had no idea what the fuss was all about. 'Web Sites Now' television and print ads famously ended with the quote by Matzorkis, "If you don't have a web site, you don't exist in the new global marketplace." Over two decades later those foretelling words remain truer than ever. Matzorkis' next projects include the launching of McCartney.com music. 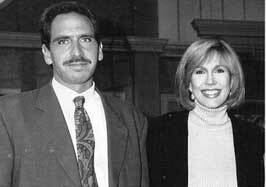 Launched in 1993, Matzorkis' US SEARCH of Beverly Hills, CA was the first easy and affordable service made available to the public to locate long lost friends and family members. 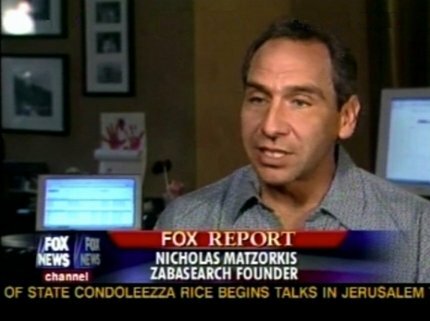 Nick Matzorkis was a frequent guest on many television shows, reuniting family members and friends. 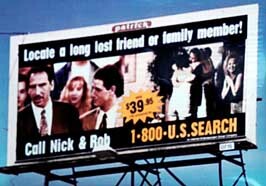 Advertisements featuring Mr. Matzorkis ending with his voice-over, "Find Anyone, call Nick and Rob, 1-800-U.S. SEARCH.com", were a staple on television during much of the 1990's appearing nationally 25-30 times daily on shows such as Wheel of Fortune, Jeopardy, CNBC, CNN Headline News, etc. 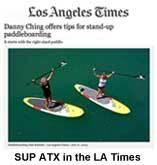 The advertisements ran so frequently it prompted Jay Leno to make mention of them in his Tonight Show monologue. 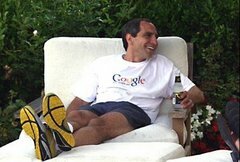 And, notably, US SEARCH was the first company ever to run national television ads with a www Internet address in them, helping to spur the online revolution. 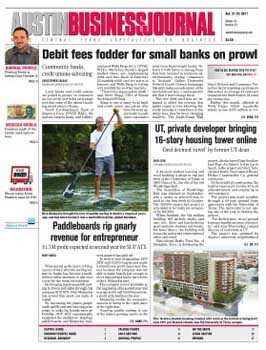 Matzorkis went on to create PeopleData as the first company to offer direct access to public records over the Internet, as well as being the first company to associate satellite imagery with street addresses. ZabaSearch later became the first company to do the same for free. 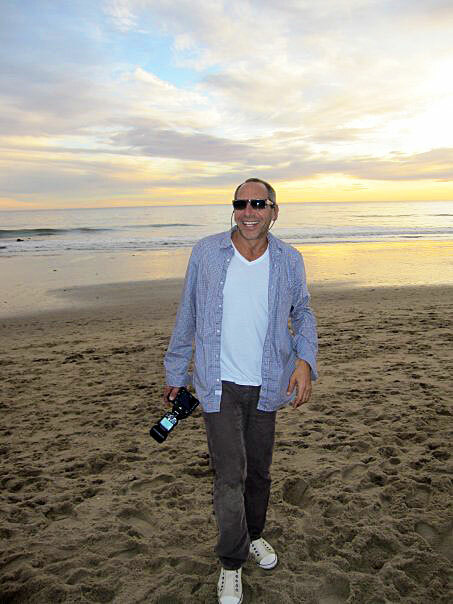 US SEARCH was founded by Nick Matzorkis as a Beverly Hills home based business and was featured in Entrepreneur Magazine. By 1999, US SEARCH grew to 400 employees and had a $160 million valued IPO on the NASDAQ exchange as the #1 people locator service in the world. In 2002, First American Title (NYSE:FAF) acquired control of US SEARCH and merged subsidiaries with it, at which time it traded as First Advantage (NASDAQ:FADV) with a market capitalization of $1.3 billion. Even more notable than US SEARCH as a business success story was the positive impact it had on so many people's lives by reuniting millions of long lost friends and family members. 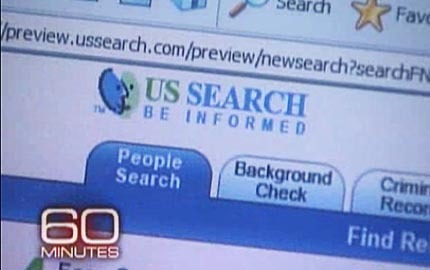 20 years after it's inception, US SEARCH was recently featured on 60 Minutes. ZabaSearch received extensive media coverage (NPR - FOX News - Wired) and unfortunately became a target of many privacy related activists which ZabaSearch maintained misrepresented its capabilities and intentions. ZabaSearch pointed out the information it displays is all public information. Matzorkis stated in an interview on NPR that "ZabaSearch represents an inevitable evolutionary phase in Internet technologies and the democratization of public information." 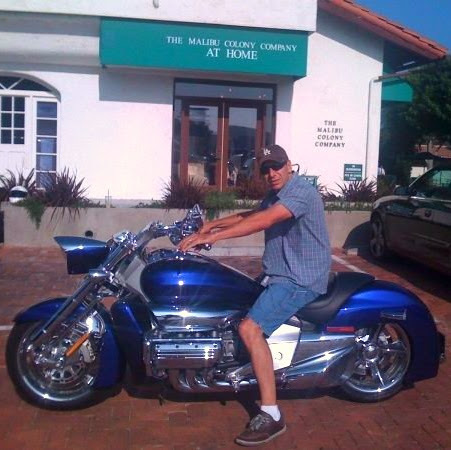 US SEARCH was one of six companies Mr. Matzorkis founded and operated out of Beverly Hills during the 1990's under the banner, "InterAct Entertainment Group". The other InterAct companies were in the business of web development, television and music production and distribution, musical and theatrical artist management, and telecommunications technologies. InterAct Entertainment Group was perhaps the first to successfully converge entertainment, telecommunications and fledgling Internet related technologies into working successful business models in the heart of the entertainment industry in the early 1990's. 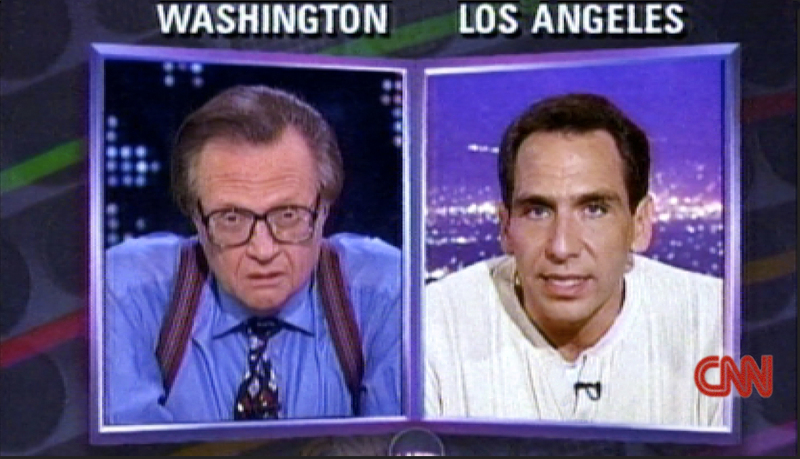 During the 1990's InterAct companies employed thousands of people in its Beverly Hills offices. Nicholas Rockefeller joined the Board of Directors of US SEARCH in 1998. 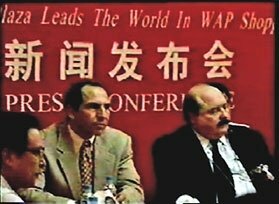 Nick Matzorkis and Nicholas Rockefeller went on to launch GlobalAgora-China in partnership with Chinese government controlled Wuhan Department Store Group, publicly traded on the Shanghai Exchange. GlobalAgora is believed to be the first U.S. based technology company to launch operations in the People's Republic of China and the first to enable wireless shopping in mainland China. InterAct Entertainment's "Harmony Music and Video" specialized in production and distribution of music and video titles. 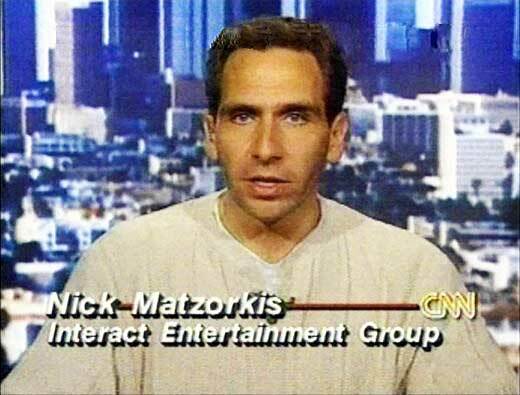 In addition to his role as chairman of InterAct, Nick Matzorkis would frequently play the role of producer in many of its projects. Matzorkis was executive producer of "Pre-Madonna", a collection of songs written and performed by Madonna that to this day remains the only Madonna CD ever released that is not owned and controlled by Warner Bros and Madonna. 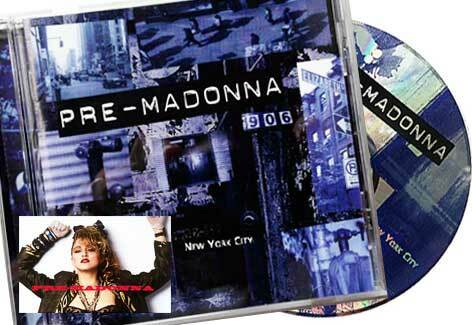 The ten songs on the CD include the original four tracks on Madonna's demo tape she famously took around to New York City clubs to get played before she signed with Sire/Warner Bros. This collection of songs includes the only available Madonna tracks recorded prior to her becoming the most successful pop female artist of all time. 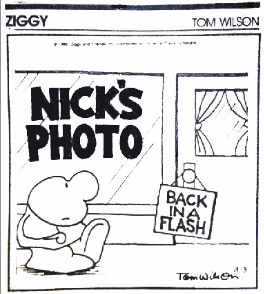 Thus, the pun-intended title Matzorkis came up with for the CD, "Pre-Madonna". 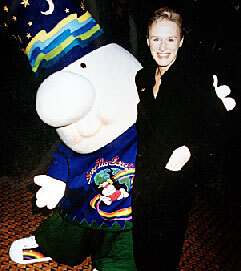 Matzorkis was also Executive Producer of the critically acclaimed "Music, Peace and Harmony" CD by artist Viveka Davis. Harmony released a successful five volume video series starring #1 New York Times best-selling author Sylvia Browne and produced a series of specialized videos including, "Beauty Pageant", written by a former Miss America and hosted by a former Miss USA. 'US BELL', 'Web Sites Now! 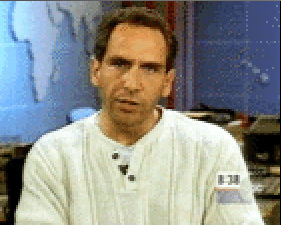 ', and 'InterAct on the Internet' were all founded by Matzorkis in the early 1990's which provided web development and telecommunications services. In addition to supporting outside clients they also provided technology backbone for their InterAct Entertainment Group sister companies. Launched in 1991, 'US BELL' provided telecommunications services, developed high volume voice capture technologies, and maintained a 24/7/365 call center in the InterAct headquarters in Beverly Hills capable of handling millions of callers per month. In addition to supporting its sister companies such as US SEARCH, US BELL also provided high volume toll-free call capture services to outside clients such as Miss Universe inc. which broadcast toll-free numbers on national television. US BELL provided toll-free numbers, high volume voice capture technologies, live operator support, order capturing, credit card processing and was capable of taking thousands of simultaneous phone calls resulting from the national broadcast of the toll free numbers it leased to its clients and sister companies. 'Web Sites Now!' began building websites for movie studios, production companies, record labels and entertainers at a time when most of the clients didn't know what a website was or why they needed one. 'Web Sites Now!' 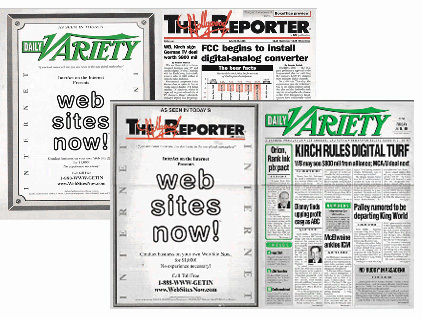 was a mainstay on the back covers of entertainment trade magazines Daily Variety and The Hollywood Reporter and frequently advertised on CNN, MSNBC and CNBC. 'Web Sites Now!' advertisements began with the quote by Matzorkis, "If you don't have a web site you don't exist in the new global marketplace". 'Web Sites Now!' started with the first T-3 Internet connection in Beverly Hills and a web server farm in the InterAct headquarters which supported its outside clients and sister companies. 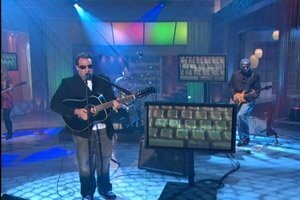 In 1995, ‘InterAct on the Internet’ built more complex customized web development applications for clients including early stages of audio / video streaming and “high volume” data storage, enabling many record labels, entertainers and production company clients for the first time to directly publish to the public music and movie trailer type content on their websites. 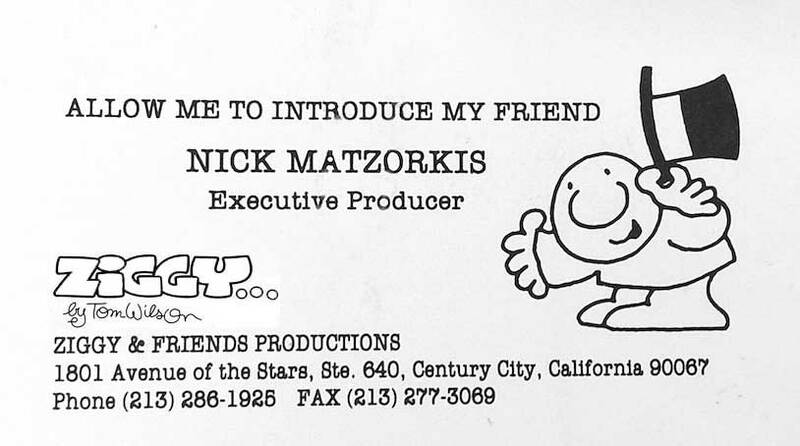 Prior to the InterAct Entertainment Group of companies, Nick Matzorkis and Ziggy cartoon creator Tom Wilson launched Ziggy & Friends Productions in 1990. 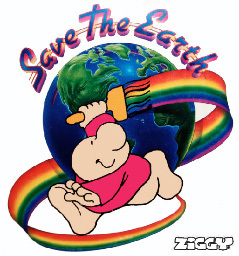 They developed Ziggy print, animation, and character licensing projects. Nick Matzorkis and Tom Wilson were Executive Producers with Academy Award winners Jon Voight and Louis Gossett Jr. and others including David Crosby, Olivia Newton John and Stevie Wonder to develop entertainment projects intended to draw attention to global warming, more commonly referred to at the time as the "greenhouse effect". This was 16 years before "An Inconvenient Truth" brought the concept of global warming to the forefront of global consciousness. Nick Matzorkis, Tom Wilson, Jon Voight & Louis Gossett Jr.
Before Ziggy & Friends, Matzorkis opened and operated the ‘Cleveland Agora Theater and Ballroom ’ concert venue in 1986 with legendary promoter Hank LoConti. 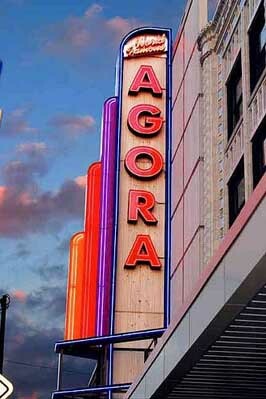 Matzorkis produced and promoted hundreds of concerts in the Agora 1800 seat theater as well as larger festival shows in outside venues. 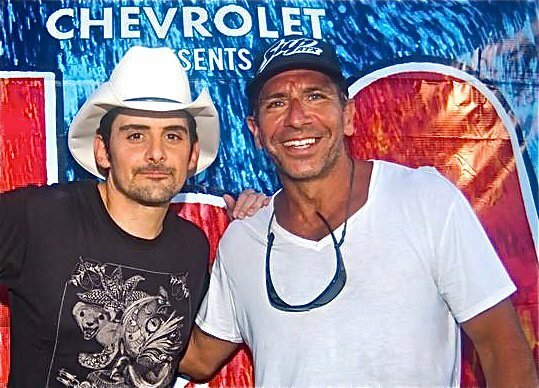 He also started a successful management company during this time which later evolved into InterAct Talent Management of Beverly Hills, expanding beyond musical talent to theatrical talent and production. 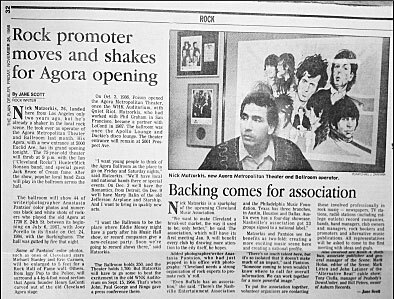 During his four years as owner-operator of the Cleveland Agora Theater, Matzorkis promoted hundreds of shows with such legendary rock artists as Neil Young (Live at the Cleveland Agora), Keith Richards, Ron Wood, Bob Dylan and David Crosby. Band and tour management clients have included Humble Pie, Dave Mason and Fleetwood Mac. In its later incarnation, Matzorkis' InterAct Management had clients in two consecutive Cannes Film Festivals in 1995 and 1996 and an Emmy nomination in 1996. 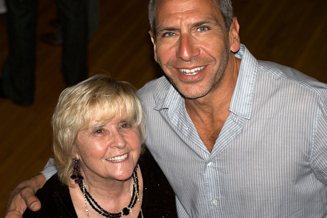 Clients included Academy Award winner Maximilian Schell, Viveka Davis (Seinfeld, Judds NBC Mini-series, Ed TV w/Mathew McConaughy, Message in a Bottle w/Kevin Costner, Curley Sue w/Jim Belushi, Ricochet w/Denzel Washington, Castaway w/Tom Hanks, Man Trouble w/Jack Nicholson), Kim Wayans (In Living Color), Diana Scarwid (Mommy Dearest and Emmy nomination for her role as Bess Truman in Truman) etc. 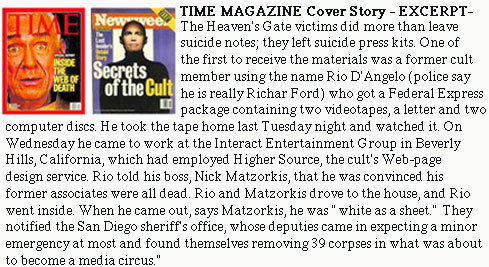 In March 1997, fifteen website designers and programmers contracted by InterAct Entertainment Group turned out to be members of the Heaven's Gate Cult which inadvertently and randomly thrust Nick Matzorkis into a tragic event which became one of the biggest media circuses of the 1990's. Matzorkis points out, "once you've been associated with an extreme circumstance like that, there's no escaping being the fodder of Internet chatter and international conspiracy theories for the rest of your life". 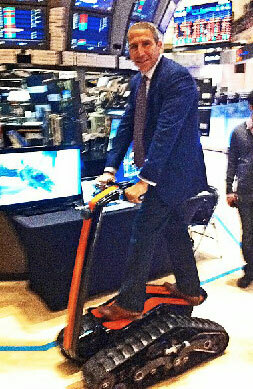 Nick Matzorkis' hobbies include dabbling in new technologies. 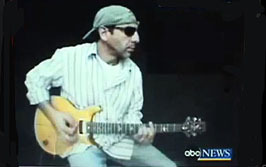 He created and played guitar for the ClipBandits, regarded as the "worlds first Internet band". They performed on the Tyra Banks Show, were featured on ABC World News, Good Morning America and countless publications around the world. ClipBandits videos have been viewed on YouTube over 20 million times. As a challenge, Nick Matzorkis set out to anonymously create a video he intended to simultaneously become both the "Most Viewed" and "Most "Disliked" video ever on YouTube. He started with an iPhone photo he took of Britney Spears at the Peninsula Hotel pool in Beverly Hills and turned it into a 7-second meaningless silent video entitled, "The Worst Video of All Time: Brit at the Pen". It has since been viewed 100 million times. It topped out as the #2 "Most Viewed" video ever and did become the "Most Disliked." A title it held until being beat out as the "Most Disliked" video by Texas Governor and Presidential candidate Rick Perry's political TV ad entitled, "Strong." Its funny and ironic that Nick and Governor Perry are responsible for the two most disliked videos ever on YouTube. One of them intentionally, the other not. Matzorkis also drew a large online following by accurately predicting the voting outcome of American Idol each of the last six weeks of the 2006, 2007 and 2008 seasons. Using web-based statistical analysis, he published the correct voting results on his ZabaSearch website 10 hours before the voting results shows aired on television. 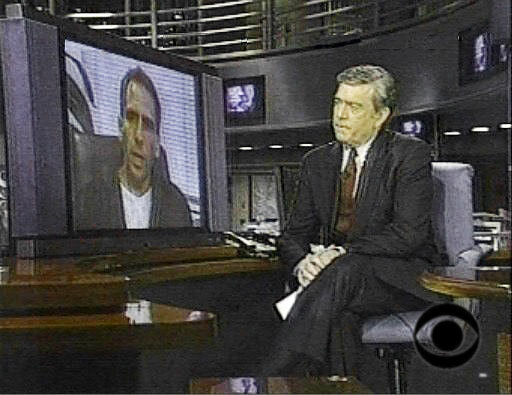 The predictions were so accurate it prompted some critics to falsely insist that Matzorkis and the producers of the show were in cahoots. 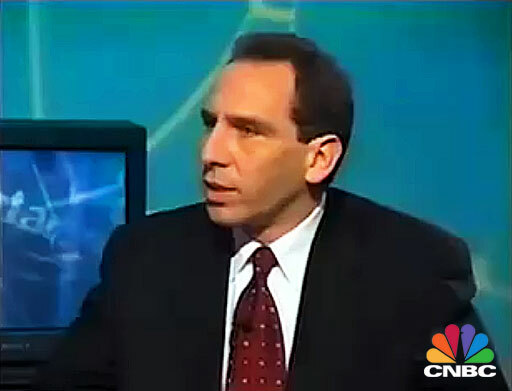 The publishing of Nick Matzorkis' American Idol voting results predictions were covered in the New York Times, USA TODAY and the Los Angeles Times. As reported in the Chicago Tribune, this resulted in Las Vegas casinos seizing to take bets on American Idol voting outcomes. Flor D'Luna from Nick Matzorkis on Myspace. Nick is currently writing a book, continues to develop cutting edge uses of technologies and explores opportunities to create new industries. 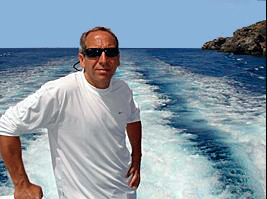 He oversees his ventures and manages pet philanthropic projects while remaining highly active spending time between his primary residence in Austin TX, his home in Malibu CA, part-time residence of Aspen CO, and homeland of his grandparents, the island of Crete, Greece. Red Hot Chili Peppers', "Road Trippin"
Neil Young: "This Note's for You"